When Ranma was younger he went training with his father in china, once the arival of the training ground they started there training and ranma kicked his father into the water of one of the springs, and his father came out a Panda.After that Ranma was kicked into a spring of a drowned girl and came out a girl. 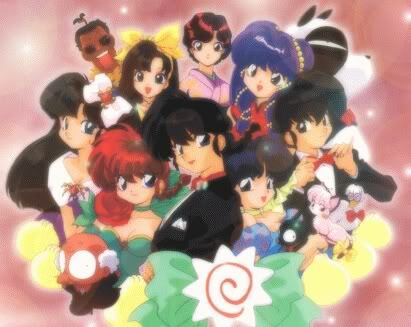 Now when ever ranma is hit with cold water he turns into a girl. 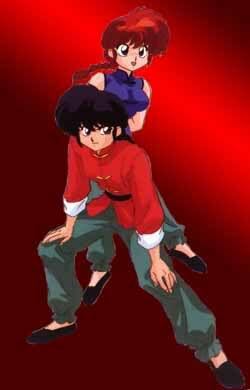 After the training Ranma and his father went to japan so Ranma would be maried to one of Ranmas father's friends dauthters, Ranma did now want to ger maried but in the near futcher he claimed Akane as his Fiancee. When Ranma was younger his father wanted Ranma to learn cat fu so Ranma's father pushed Ranma into a pit of hungery cats.There is no way exsplaining the training but when he came out he was like a kat, and was VERY afraid of kats and hatted them with a pashion. Shampoo tricks Ranma into playing cats cradel with her for a weeks free of food.But the string was really this majical red srting that would bond them forever, but that plan was stoppped when the string was cut. um, actually, i'm asking for a brief history of the entire life. you can always refer to wikipedia. i guess i can approve it. btw, if you have an account on any other rp sites besides the yu-gi-oh rpg, naruto highschool, or narutoc, i would appreciate it if you would spread the word about the site.